Featuring a rooftop outdoor dining area, Rockwell Plaza Property is a 5-minute walk from Karol Bagh Market - the CIty Centre of New Delhi . 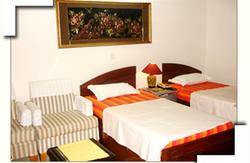 The property features air conditioned rooms with a total of 50 beds with a flat-screen TV and free Wi-Fi. Rockwell Plaza is a 5- minute walk from Karol Bagh Metro Station. 10-minute drive from New Delhi Train station and a 35-minute drive from Indira Gandhi International Airport. Guest rooms at the property are equipped with modern furnishings, well-equipped with a safe, refrigerator and private bathroom with 24 hours hot & cold shower facilities. Guests can enjoy views of the surrounding neighborhood while dining at the rooftop restaurant. Indian, Chinese and European dishes are served. Free of charge pool table is there to add to the guest relaxation. So enjoy a beer , while you play & look at the view from the top. Currency exchange and ticket services are available at the 24-hour front desk. For guests who would like to travel, Plaza Rockwell Property also provides car rental services and free parking. Rockwell Plaza is the perfect Home for extended stay. The warm contemporary design of the lobby go a long way in providing a space for relaxed comfort, conversation and pleasure. A Perfect blend of style, our room offers a welcome respite of tranquil relaxation. while still being close to the city's main shopping and business Paradise. 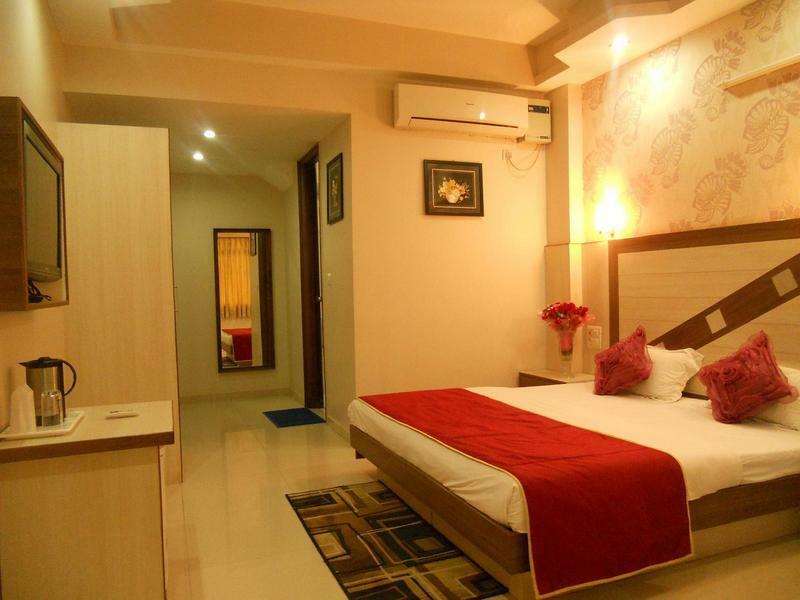 The rooms are spacious and well equipped with UPVC sound proof windows, split AC,s and 32 inch LCD, study table. stocked mini bar with refrigerator. choice of joined and split beds in each room. All rooms have attached bath with rain shower and 24 Hours running could and hot water with stylish bath fittings. State of the art Elevator from Schindler makes a smooth descend all the floors of the property. Roof top restaurant. A contemporary Indian roof top restaurant umbrella offers a different experience under the blue sky. The culinary skill of our master chef are sure to impress you with delicious gourmet tour.An impressive menu and impeccable service make it an ideal venue for a cosy evening. We take pride in earning accolades in the worldwide hospitality industry, 24 Hours Concierge, house keeping maintenance, security and surveillance services are being provided so as to ensure a secure and comfortable stay. 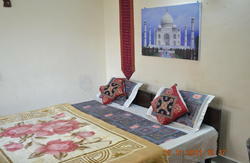 Perfectly located for tourist and business travelers from India and abroad the Property offers easy approach . Please refer our location map also. 3] Metro Rail - 2 Minutes walk from Karol Bagh Metro Station on main Ajmal Khan Road , City Centre. 4] Call us 24 x 7 for any assistance & we can make arrangements for pick up if required. For single or only women travelers , we advice to use our Airport pick up service at affordable prices . Our representative will hold placard with your name & flight details at the exit gate . Caution : some taxi drivers are paid commission to take unsuspecting guests to the wrong hotel. to make sure you find us safely the first time round, we urge you to keep a copy of our hotel directions with you and be sure to call us if you have any hesitation whatsoever. do NOT let the taxi driver dial the number, they will only call their friend who will tell you the hotel is closed for whatever reason. if at all you feel threatened in any way, mention you have the cab registration number and you will report the driver to the police, this normally stops them.